A FEW MINUTES WITH . . . . . .
A Few Minutes With Mr. D! A Few Minutes With Bernhardt Publishing! A Few Minutes with Chris Adams of Yamara and Oh MY God There's An Axe in My Head! Attack of the Killer . . .Bunnies?!?!? 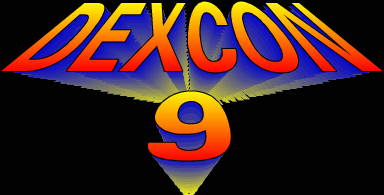 Stay Tuned for Reviews and Recaps from DEXCON 9!